The heroes/anti-heroes of the Simon Jardine series of murder mysteries are all based in Derby, a small English city with a long and disparate history. The family history of Tony R. Cox, while he was not born in the town (it became a city in 1977), goe back to the early 19th century. Photographer Seppo Haekkinen (www.500px.com/seppoj ), who lives a stone’s throw from Derbyshire’s southern boundary, captures the gems of the city as well as elements of its heritage. 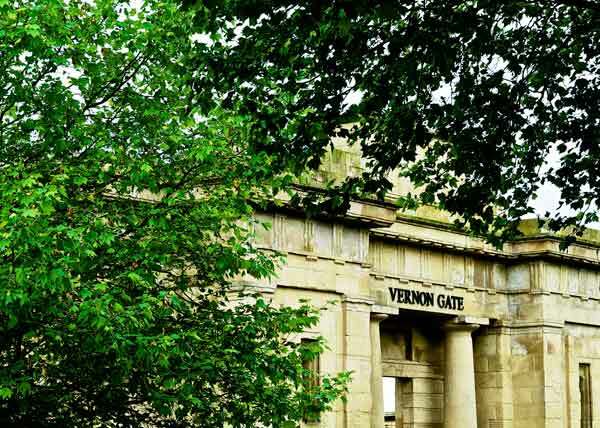 The imposing facade at Vernon Gate is Derby’s former, nationally-acclaimed model prison. Opened in 1828, it closed in 1916. I’m not sure about the epithet ‘model prison’, and it’s probably not what John Leedham thought when he was the first to go to the gallows in the 1930s. The water is deep and dark, but Derby is home to two rowing clubs: Derwent Rowing Club, founded in 1857, and Derby Rowing Club, found in 1879. 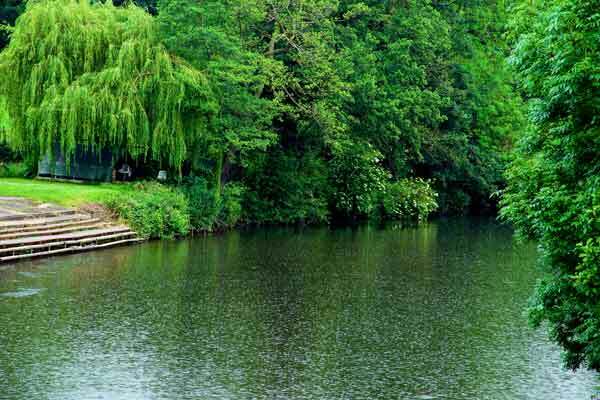 They sit side by side in Darley Abbey Park and in the 1970s were venues for good beer and banter, as well as fiercely competitive rowing. 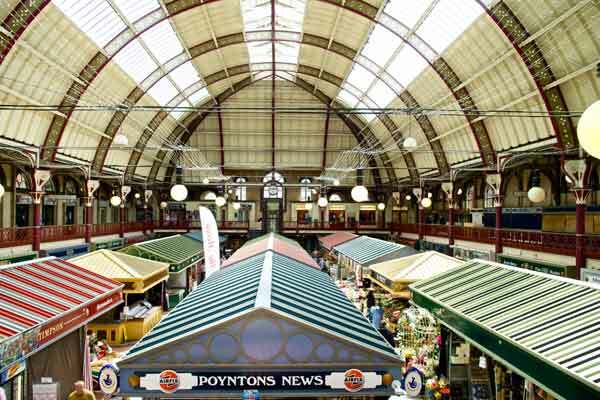 Derby Market Hall, a busy retail emporium since 1864, but for the last 40 years faced competition from the Eagle Centre and a series of shopping ‘booms and busts’. Let’s protect our heritage by spending small amounts frequently in the places that matter. 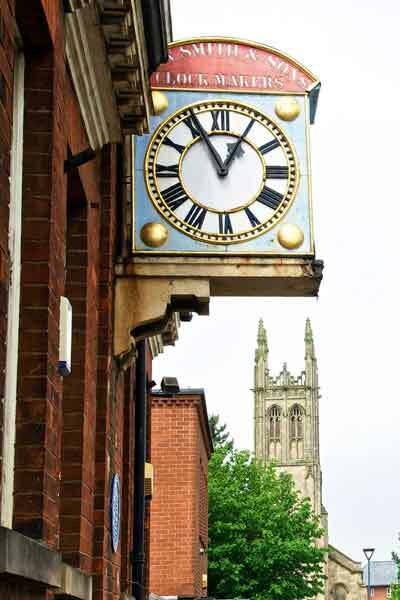 John Smith Clocks – you will see a Derby-made clock on almost every major public building in cities all over the world. The building was also owned by John Flamsteed, the very first Astronomer Royal in the late 17th century, and was home to Derby’s own master of light, the painter Joseph Wright, in the 18th century. One small building; three centuries of global history – that sums Derby up for me. I well remember the John Smith Tower Clock works, and of course, the clock in the photograph(on Irongate/st Mary’s?). Friends of mine , ex RR engineer apprentices and Derby tech college graduates occupied the first floor flat of the Clock works for some years in the 1970s, including Dave Rowlands, with whom I saw lots of band gigs in and around the area. Other names are lost to memory, but one of them built a low-slung Jaguar straight-six engined sports car, glued and screwed, from marine plywood, which he later transformed into a really good looking two -seater tourer with more conventional bodywork ! Dave went on from Rolls-Royce to be a proper engineer, working as ship’s engineer on container ships, commisioning power stations for the CEGB, and a de-salination plant in Qatar; we lost touch when I left the UK for California in the ’80s. Cheers again for the memories !